Planned Giving builds Judaism where it is needed most, in your local community. From preschool to day school, visiting the sick or comforting the poor, this is your moment to make a difference. Join with us through the loving act of planned giving by leading your community to a strong and vibrant future. This is your Moment. Focused on every step of the Jewish life-cycle, Chabad Owings Mills will utilize your bequest to lead the Jewish future. Leaving a bequest is a great way to safeguard our Jewish community. Your charitable bequest ensures that your support of Chabad will continue in eternity. Designate a portion of your estate to Chabad Owings Mills for a Jewish legacy. Please inform Chabad Owings Mills of your intention to leave a bequest, so we can properly recognize you as a member of the Jewish Legacy Society. 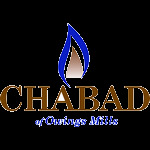 Residuary Bequest - Chabad Owings Mills is given a percentage of the estate. Outright Bequest - Chabad Owings Mills is given a specific dollar amount or a specific asset, such as securities or real estate. Allow us to work with you, your family, and if desired your financial adviser, to develop the most personalized strategy for your goals.